F1963 is a successful example of adaptive reuse. The former wire factory has been transformed into an awesome art complex. What once produced wire ropes for almost 50 years now produces delicious coffee, beers and provides a venue for artwork, books, music and plants. Dynamic Busan Magazine lists five great reasons why to head to F1963. This is much more than just your ordinary bookstore. Besides the written word, YES24 offers stationary, accessories, toys, records and more. But, make no mistake: this is first and forefront a bookstore, one that offers more than 200,000 of them within its 500 square meters. In addition to all of this, there are many other things offered, as well. These include the ability to sell your old books, meet authors, performances related to certain books and more. Out of print books, foreign books and others not usually easy to find are also available. Take your time and linger among the many wonderful books. The Garden in Forest Works area has been built within F1963 to link nature to the urban landscape that is busy Busan. People can purchase a variety of horticultural goods here including flowers, potting soil, flower pots, trees, fertilizer and more. Gardening programs are also available. People can enjoy the warmth from the facility’s greenhouse and humble snacks like organic tea, organic salad, rice balls and more are available for purchase. While F1963 is now a lovely art space, its past life as an industrial factory has not been completely erased. Exposed ceilings and big pipes remain intact, but this space’s modern interior design will instantly remind you it is now a place for performance. The layout and design of Sukcheon Hall, a 600-seat performance space, can be arranged depending on the needs of any specific performance. The space was opened last year with a series of performances by the New World Philharmonic Orchestra and lauded conductor Nanse Geum. 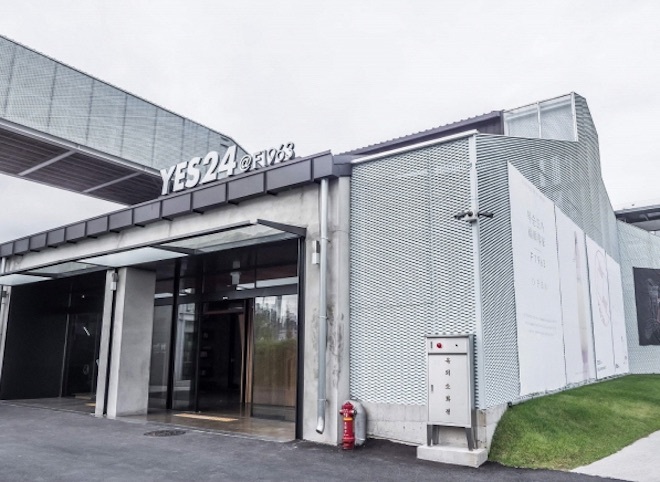 A number of future exhibitions are planned, including the conclusion of an excellent exhibition on 27 examples of reinvented foreign closed industrial facilities that will run until Dec 23. Tate Modern from England, Speicherstadt from Germany, The High Line from New York, Noritake Garden from Japan and more are being highlighted in the exhibition. Entrance is free. Despite its large size, Terarosa is also a very warm and inviting spot. Large tables made of steel provide relaxation and an opportunity for study and the coffee is sublime. Terarosa originated in Gangneung and has since expanded across the nation. Its location in F1963, however, is the only one in Busan. Its made-to-order, hand-drip coffee is brewed from a wide range of coffee beans including Guatemala Tulio and Ethiopia Yirga-cheffee. The shop also offers delicious desserts like croissants, scones, pound cake, cookies, tiramisu, and tarts. By now, you have checked out some books. Maybe you have enjoyed some art. You relaxed among plants and even got a cup of coffee during your entertaining excursion to F1963. What could possibly be left to do? Grab yourself a beer and some tasty Czech Republic grub, of course. Launched in 2017, Praha 993 bring Czech-style beer to Korea. Varieties range from pilsners (which originated in the Czech Republic) and stouts to India Pale Ales and seasonal specialties like pumpkin ale that are brewed on-site. These pair well with an assortment of both Czech-inspired and pub-familiar meals including fish and chips and Koleno, a savory slow-roasted pork knee that is a quintessential Czech feast. Praha 993 also has a location in Seomyeon.